LinkedIn has some really cool (and often) overlooked features that are home to some pretty hot prospects! Check it out. 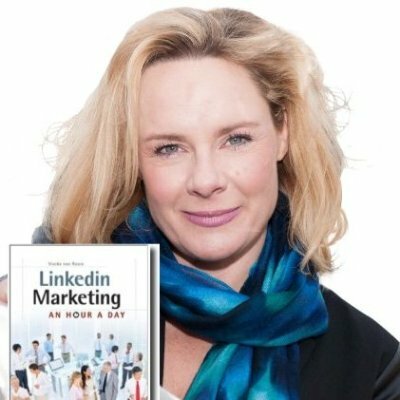 You know that LinkedIn can be a great place to find, connect and engage with prospects. But are you sure you are making the most of all the features? 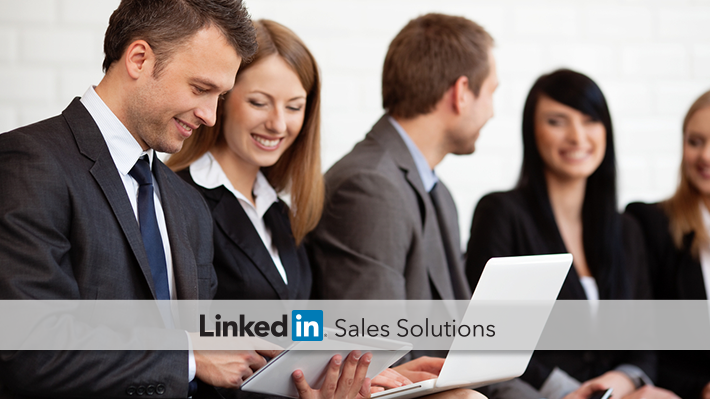 Even experienced LinkedIn users miss some prospecting opportunities. Check out these four "hidden" LinkedIn features you might've overlooked - that our home to some pretty hot prospects! When you do an Advanced search on LinkedIn, you have the ability to save that search. (You get three saved searches with the free account and 7+ with the premium account.) Are you making the most of your saved searches? Or are you even using them at all? I also recommend you use Boolean logic (And, Or and NOT) to further refine your search. If you have no idea what I mean by Boolean, LinkedIn has a great little worksheet about how to use Boolean search here. If you have a premium account, make sure to use the premium search fields. One of the reasons I have my premium account is specifically to get access to the ability to refine my search by Company size and Seniority! The cool thing is that LinkedIn will send you an email every week (if you turn your notification on) with new people who fall into your particular search algorithm. Now you have an opportunity to message those first level connections. You’ll be surprised at who shows up and you didn’t even know they held that position or worked at that company! 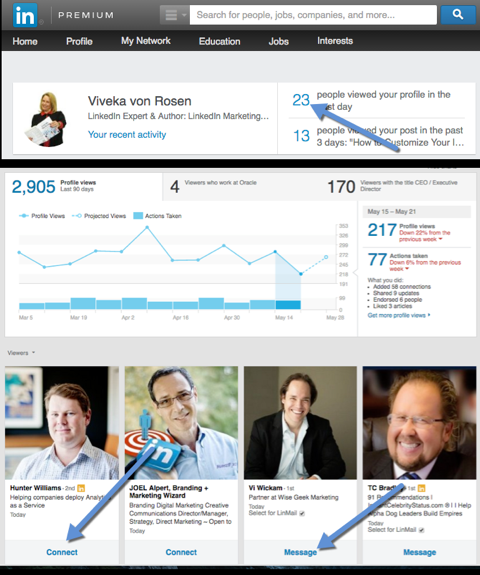 If they are not a first level connection, simply invite those LinkedIn members to connect by click on their name. (Make sure you are signed into LinkedIn first). When you send your invitation, you might write something similar to: "LinkedIn sent me your name as a possible connection. Do you want to connect?" When I speak to large groups of people, I'll often ask them if they are aware of this feature. Most people are not – and even those who are aware of it, are unaware of its potential. Essentially LinkedIn is sending you Leads that you can follow up with! Make sure you save some of your Advanced search is today. And start following up with those new prospects. Another reason I have a premium account on LinkedIn is so that I can see everyone who's viewed my profile. Now if you have less than five people a day viewing your profile, this is not an issue. But the more active you get on LinkedIn, the more likely people are to view your profile. And many of those folks are prospects. If someone takes the time to actually click on your profile, they are probably a friend, family member, a colleague, a classmate, a competitor, or a prospect! Why not take this opportunity to connect and engage with your prospects? If the prospect who viewed your profile is a first level connection – simply send them a message thanking them for viewing your profile and ask them if you can help or be of service in anyway. If the person who's viewed your profile is not a first level connection, then invite them to connect with the message that reads; "I noticed you viewed my profile on LinkedIn. Would you like to connect so we can more easily engage with each other? I'm happy to answer any questions you might have!" If someone has made themselves anonymous – just forget about them and move on! If you have made yourself anonymous, be aware that you will not be able to use the Who's Viewed feature with the free account. By the way – some of my best friends and referral partners are technically competitors of mine. But through our engagement on LinkedIn, we have created work relationships that have translated into business for all of us. So you might want to engage with some of your nicer competitors too. Just be aware, if you connect with them, they might have access to your connections to (depending on you have things set up in Settings). 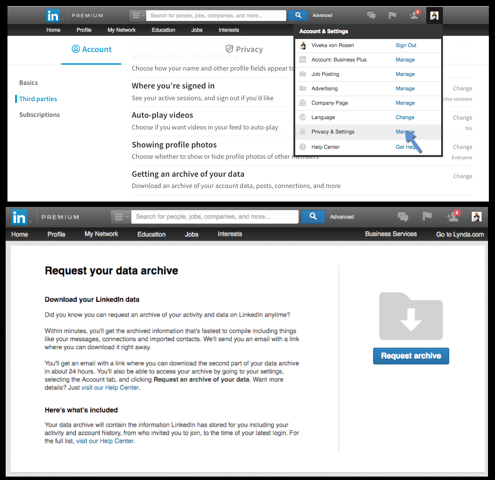 Speaking of Settings, did you know that you can get an archive of your data in the Settings section? Why is this important? Because that's where you find out who your super fans are! When you export and download an archive of your account data – you will get a CSV file of all the people who have endorsed you. All you have to do is sort that file by the members’ names, and you can see who endorsed you and how many times. If someone has endorsed you more than one or two times – they probably really like you! And if they've endorsed you up to 50 times, they are either a stalker or a super fan. If they are a super fan and a prospect, you have a much better chance of doing business with them (then someone who doesn't even know who you are). Not only that, but they would probably be more than happy to share any content, or promotions, or information you share with them to their audiences. So make sure to go into settings, click on “Getting an Archive of your Data” – and then click on the “Change” link. Click on the “Request Archive” button – and in few days you'll have that Excel file. Make sure to check your spam if you don't receive it. Or just go back into settings to retrieve your archive within 48 hours. Once you have opened the CSV or Excel file, sort by first name and look for the people who have endorsed you the most. Go back into LinkedIn and find them. Send them a message thanking them for all their endorsements, and ask if there is anything you can do for them in return. I also recommend tagging them “Super Endorsers” so that you can easily find them. To tag your new prospects simply click on “My Network” and “Connections” link in the upper menu. Your connections will automatically be sorted by those you “Recently Added”. Now all you have to do is scroll over their contact info, click on tag, and create or add the appropriate tag. Whenever you want to easily find these new connections and prospects, all you have to do is filtered by tag, find the tag, and voila. Now you can message them, share their content, email them or even ask for a phone call. Bonus! You can also count how many endorsements you have in total. If nothing else, that should make your day! 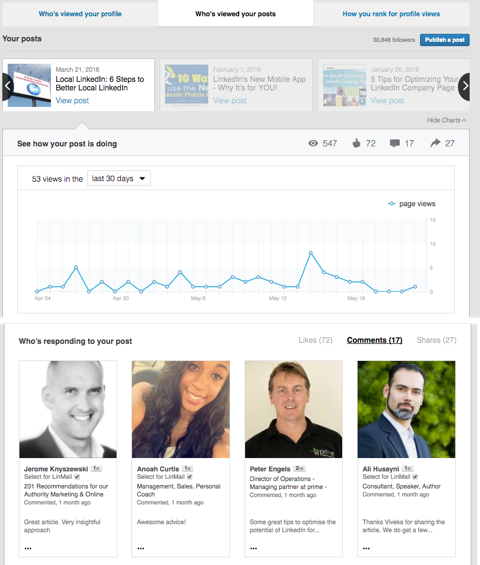 If you are creating content through LinkedIn Publisher – chances are you've had some people comment and share your content! Read about how to use Publisher for Business here. Are you following up with them? People who take the time to read through and comment on your Posts could most definitely become customers. So make sure that you are reviewing your Publisher Statistics a few times a week to see who's responding to your posts (and what they are saying). Of course, if the person who has commented on your article is a first level connection, you can click on their name and send them a message. If the person who has commented on your post is not a first level connection, you can always click on their name and invite them to connect from their profile. Now you have a great excuse! They commented on your post. More on how to use Publisher Stats to refine your marketing here. If prospecting on LinkedIn has previously been a fruitless experience for you, make sure to try a few or all four of strategies. Every week check your Saved Searches and connect or engage with the prospects LinkedIn sends you. Every day (especially if you have a free account) check who’s viewed your profile and follow up. Keep an eye on your Publisher statistics (at least a few times a week) and reach out to your fans. And at least 1x a month, get an archive of your data and check out who’s endorsed you the most. Reach out to your super fans. These four strategies are very effective for building your network with key prospects. All I would ask is don't spam your new connections with sales messages. LinkedIn is all about connecting and engaging and creating real relationships with prospects. Not hard-selling them. Try to create value for your prospects, by being of service, sharing good and value add info with them. And as soon as possible, create real relationships by taking your connection to the left next level – with a phone call or meeting. For more tips like Viveka's on how to successfully prospect on LinkedIn, check out our tipsheet,The LinkedIn Sales Prospecting Toolkit.